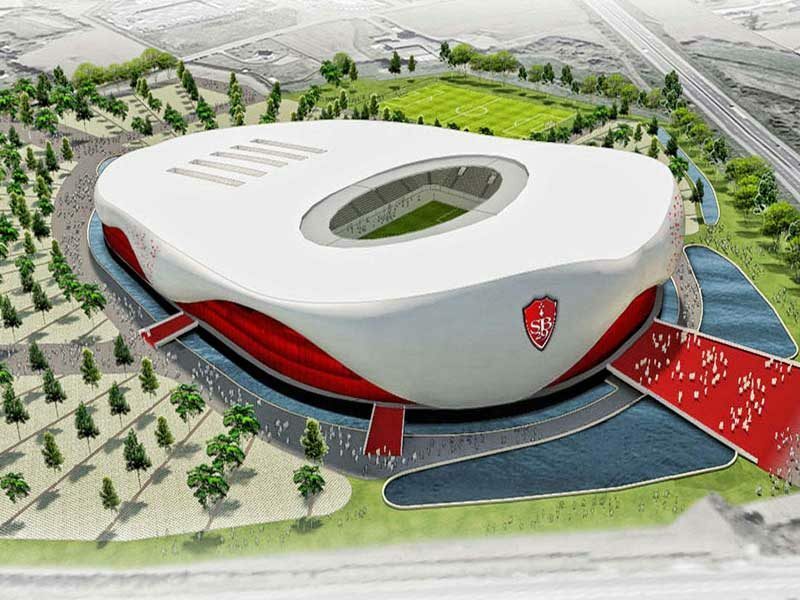 French football club Stade Brestois 29 is looking to build one of the best stadiums in France. The new stadium doesn’t aspire to become the biggest in the country, but if observers are to be believed, the Ligue 2 club has set efficiency, and not just being impressive, as their end goal. The sensibly planed vision was first shown in March this year. The club so far has received the support from the city hall and on November 19, it initiated a month-long public consultation on the project. The public consultation is necessary in order to change local zoning and enable construction of Bretagne’s newest football stadium. According to reports if the project goes as planned, groundbreaking could take place in 2019 with opening expected between late 2021 and early 2022. As per the current plans, the brand new 13,000-seat football stadium for Stade Brestois 29 would be built privately beside the east ring-road of Brest. The farmlands opposite to local Ikea store would require undergoing a zoning change for sports, commerce and leisure. The stadium, estimated to be built at a cost of €70-80 million, would include a hotel with part of its rooms directed at the field, possible to operate as skyboxes on matchdays. There would also be commercial floor spaces along with numerous leisure facilities, including tennis, squash, badminton, climbing wall, trampoline park, laser tag and more.